Paytm Mall users can avail Rs 9,000 cashback on the smartphones. Yes bank credit card users can also avail another Rs 6,000 cashback. The smartphones come with a glass back and support for wireless charging. 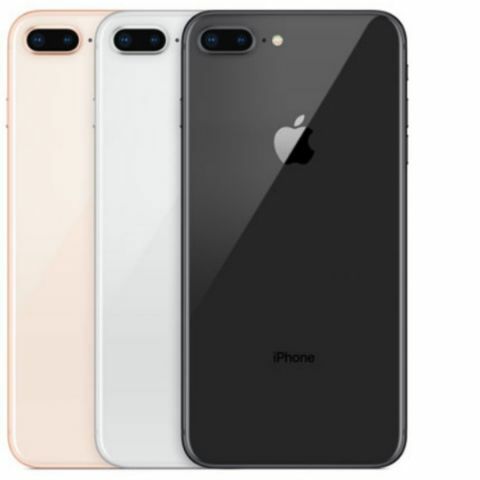 Apple’s iPhone 8 and iPhone 8 Plus smartphones were launched just a few weeks back on various e-commerce platforms with many lucrative offers. After the initial flurry of deals, Paytm Mall is now offering upto Rs 15,000 cashback on the purchase of the smartphones. The online retailer is offering flat Rs 9,000 cashback on any iPhone 8 and iPhone 8 Plus and buyers paying with Yes Bank credit cards will be able to avail an additional cashback of Rs 6000 on the smartphone of their choice. The offer is only applicable through the Paytm Mall website or mobile app. Users also have an option of buying the phones without using Yes Bank’s credit card, but they won’t be able to avail the extra Rs 6,000 cashback on the mobile phones. Clubbing both the offers together, the total cashback goes up to Rs 15,000. An amount of Rs 6,000 will be refunded to a user’s Paytm wallet on or before November 20, whereas the regular Rs 9,000 cashback will be credited within 24 hours. On Paytm Mall, the iPhone 8 64GB variant is listed for Rs 61,700 and after Rs 9,000 cashback, the price drops down to Rs 52,700. The 64GB variant of the iPhone 8 Plus is priced at Rs 70,195 and after a cashback of Rs 9,000, it is available at Rs 61,195. The 256GB variant of iPhone 8 and iPhone 8 Plus is listed at Rs 74,870 and Rs 85,749 respectively. Buyers can get them at a price of Rs 65,870 and Rs Rs 76,749, after a discount of Rs 9,000. If you are a Yes bank credit card user, you can knock off another Rs 6,000 from above-discounted rates.